- Rey Mysterio took to social media this week to share a photo and some thoughts on what was a special moment for him. The longtime WWE performer visited late WWE Hall Of Famer and life-long friend, Eddie Guerrero's grave for the first time since his passing in November of 2005. Check out Mysterio's photos and comments below. 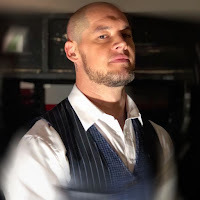 - Baron Corbin is headed into a program with Braun Strowman or possibly a situation that also involves Drew McIntyre and possibly even Seth Rollins over the next few weeks of TV, notes the Wrestling Observer Radio. This is the likely reason that Corbin was made to dominate Kurt Angle because creatively they are trying to build Corbin back up for his feud with the top guys like Strowman.